Platinum Curio. 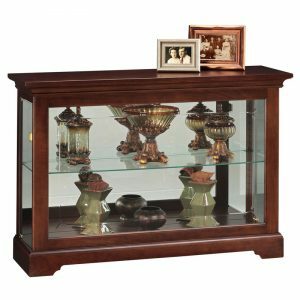 Give your room a chic makeover with this centerpiece. The shape is simple. 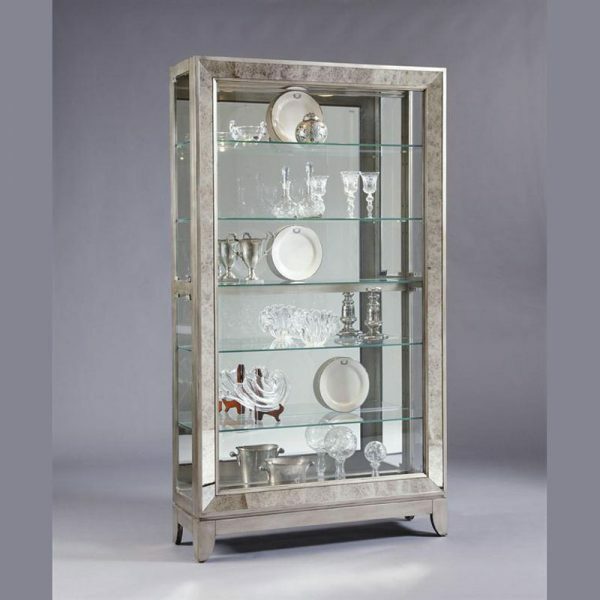 The antiqued mirror frame insets and Platinum finish are glamorous. Our curio sits off the ground on a refined saber foot. There is no prominent hardware to interrupt the dramatic look. 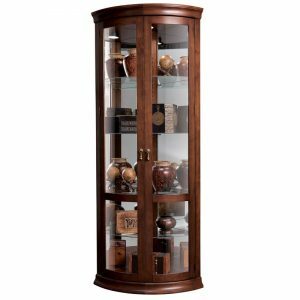 This curio is sturdily built of hardwood solids and veneers. 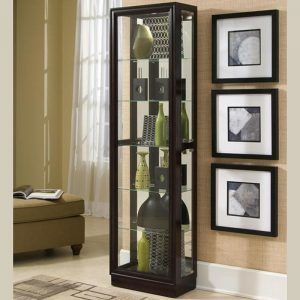 It includes a mirror back, high/low halogen lighting, and five adjustable glass shelves with plate grooves.